Whilst the summer that Brits have just seen wasn’t a bad one by our admittedly rather measly standards, few of us harbour much optimism about autumn and winter. Our winters vary from the mildly wet to the distinctly chilly, but in the past few years, the period from November through to the beginning of March (indeed, even later this year) has been bitterly cold. For thousands of years, residents of these Atlantic isles have watched migratory birds flee the encroaching winter with envy, flying south to warmer lands. Fortunately, modern technology now allows us to follow them for very little cost. Indeed, given the escalating price of energy, you have to wonder if it might be cheaper to go on holiday for a couple of weeks than to pay to heat the house! So for those whose stiff upper lip has crumbled in the face of the prospect of another 6 month period before the sun offers any attempt at warming the UK, here are 8 of Southern Europe’s finest hot spots, accessible in the blink of an eye. Fifty miles south of Sicily, the Mediterranean island of Malta basks in sunshine all year round. Ramla Bay beach is popular and pristine stretch of coastline, a short ferry trip from the mainland. Its sands are an unusual shade of saffron, but there isn’t a huge amount to do other than relax and enjoy the sun. Relatively undeveloped, Sagres beach offers surf that attracts water-sporting types from miles around. Set in the Algarve, the region is well used to entertaining British tourists, and offers a host of other attractions, with many high quality golf courses being amongst the foremost. 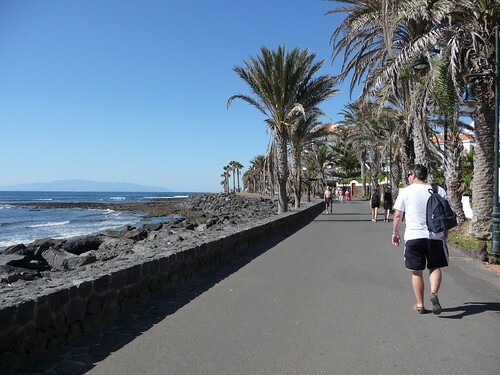 A purpose built resort focussed around a superb beach on the blissful volcanic island of Tenerife, Playa de Las Americas is easily reached by shuttle from the local airport for the minimum of inconvenience and the maximum of pleasure. Remember all those films that feature people running on the beach? From Rocky III to The Bourne Supremacy, there’s a distinctive pleasure in pounding along the surf and at Es Trenc Beach you can run across 3k of soft sand uninterrupted. Alternatively, the sheer size of the place means that you should be able to find somewhere to lay down your towel. One extra note: there’s a naturist area at one end, if that’s your sort of thing. 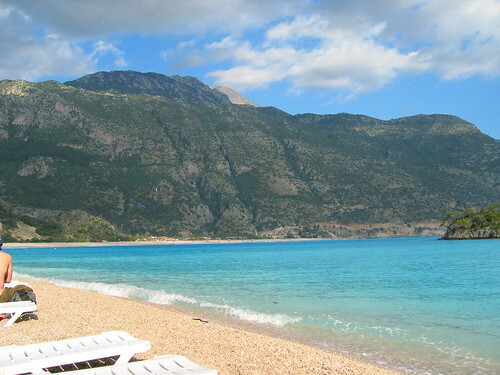 If you want tranquillity whilst you bask in the heat, try visiting the beaches of the Turquoise Coast. Numerous secluded coves abound along this 19k length of coastline, which is part of a national park. Geographically closer to the continent of Africa than to Europe, the Canary Islands are nonetheless part of Spain, removed to the sub-tropics. 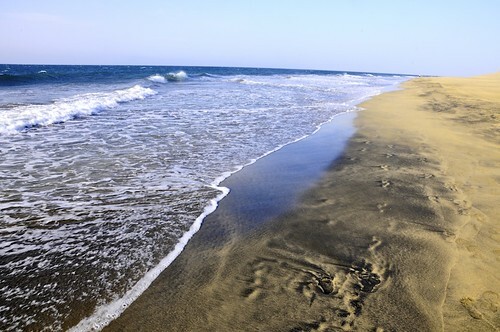 This glorious beach is dominated by the dramatic sand dunes that have been shaped over the ages by the Atlantic breeze. Lie back and think of England as your close your eyes! Another fantastic beach in Tenerife, del Duque is considered a little more exclusive (and concomitantly, more expensive) than Playa de Las Americas, located in at the Costa Adeje. A jewel in the crown of North Eastern Crete, the beach is nestled between two crags and adjacent to the ancient, long abandoned town of Itanos that is now an archaeological site. White sands and clear waters await you.